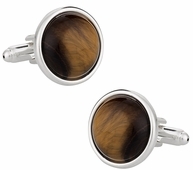 A favorite of the Cuff-Daddy team is the domed Tiger Eye design with sterling silver plate. 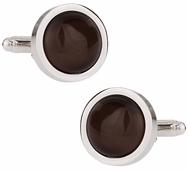 This newest addition to the brown category offers a beautiful Tigers Eye stone. It is a brown shade of stone that shimmers like a Tiger’s eye, hence the name. If you want to go for something truly unique to your personality, you might find it in the Brown Silk Knots. 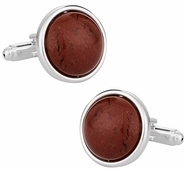 These bar style cufflinks take the expensive silk and create a beautiful knot that is not ostentatious, but simple and elegant. 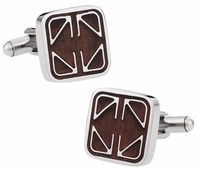 Perhaps you are not looking for cufflinks for yourself? 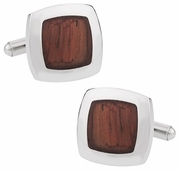 If you need a gift and know someone that works with wood a lot consider the wood cufflinks. 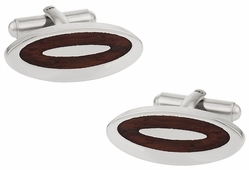 There are a number of different options from the wood and stainless steel oblong cufflinks to the wood keyhole set. Whether it is robust wood, striped wood, or round wood in a silver setting, you can find the perfect gift for you or a friend. 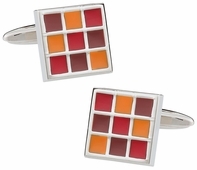 Step back into the 70s even and try on the Retro Links at Cuff-daddy.com. These re-imaginings from the 70s are a mixture of brown and green that truly makes a statement. You do not have to be classic anymore with these at your fingertips. 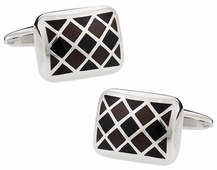 At Cuff-Daddy.com, you'll find wholesale cufflinks for every occasion. 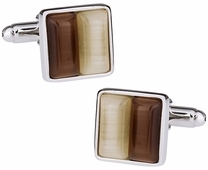 No matter what sort of look you're going for, the discount brown cufflinks on our site will ensure that you'll look fresh and feel sharp. We have a nice selection of men's designs that will flavor your attire with a touch of class. 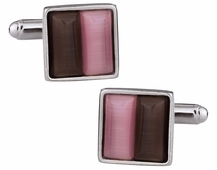 Colored cufflinks are a popular option nowadays as everyone trys to stand out from the crowd. 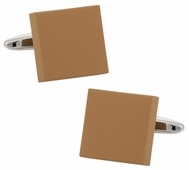 Brown cufflinks won't help you achieve that goal. That isn't to say brown isn't great, because it is. A dark chocolate color is so sophisticated and classy, it just isn't loud. Brown is the color for the guy that gets the job down without telling everyone about it. Kind of a silent hero. Under brown section, you have unique and innovative designs that can add to any party talk or simply make you feel special among a crowd of plain old boring black and whites.